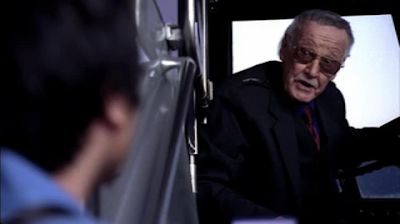 'Avengers: Endgame' Director Talks Stan Lee's Final Cameo, Says LGBTQ Marvel Hero Will Happen "Very Soon"
Marvel is spreading the word about Avengers: Endgame far and wide, as if the movie needs it, and doing his role to promote it is co-director Joe Russo. This is looking to be the final Marvel movie for the Russos as they move on to direct and produce other projects, but for now the focus is on the big finale to ten years of Marvel Cinematic Universe adventures. Russo was in India chatting up the film and he tackled a couple of topics close to the hearts of fans: the possible arrival of Marvel's first LGBTQ superhero, and working with the legendary Stan Lee one final time. Whether Russo is referring to The Eternals or another of Marvel's films is unclear, but as they continue to break diversity barriers this is one area that's time has definitely come. Just last month Kevin Feige was saying Lee had "shot a couple" of cameos before his untimely passing. One of those would be in Endgame and that places Spider-Man: Far From Home as the last time we'd see him pop up randomly in a Marvel movie.